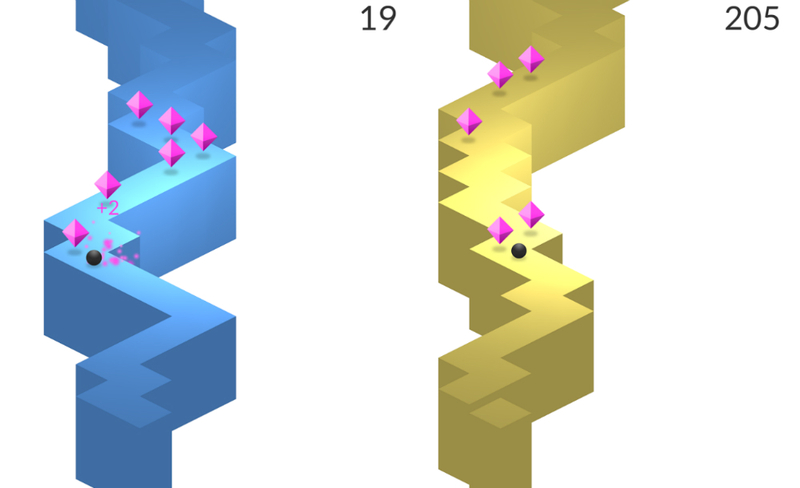 While browsing through Google Play, I happened upon a game called ZigZag. Being a person who enjoys the type of games where I die constantly, trying to get further in a level to boost my score, I downloaded the game onto my device. What a terrible mistake. In ZigZag, you direct a small black ball along a jagged line. Tapping on the screen moves the ball from left to right, and what I thought may be fairly simple, was actually incredibly difficult. The ball moves very fast, and with the taps of your finger being measured very well, just a slight graze of your finger on the screen will send your ball right over the edge. The overall goal is to get as far as you can, while also collecting the pink diamonds. As straightforward as it is, I found the game to be almost rage inducing, which is why I am here recommending it to you. Good luck. The game is free to download, but does feature a $1.99 IAP to remove ads. Monday Poll: How Much Have You Spent on Apps and IAPs?